Anupriya And Keshav’s Relationship To Lead To A MAJOR Revelation In Tujhse Hai Raabta? In the latest episodes of Tujhse Hai Raabta show, we saw that Anurpriya and Keshav are humiliated after they are caught together in the temple. 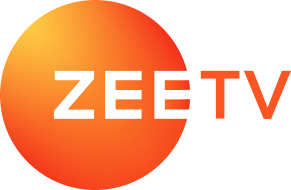 Zee TV show Tujhse Hai Raabta has been keeping the audiences and fans intrigued, hooked and entertained with its latest plot twists. Recent episodes showed ACP Malhar Rane’s death, however, it was Kalyani whose life fell in danger. Thanks to Kalyani’s dearest husband Malhar for being her saviour! Now in a major development, Anupriya is being humiliated by an angry mob. It all begins with the inauguration of a new temple in the town, scheduled to be opened at the hands of Aau Saheb. It is Sampada and Atharva’s plan to get Mai into trouble as they find something fishy brewing between her and Keshav. Sampada stuffs in a cloth in Anupriya’s mouth and gets the crowd to put black paint on her and Keshav’s faces. The furious mob begins to pelt stones at Anupriya and Keshav, as Aau Saheb and the rest of the family helplessly watches it all happen. Just then Kalyani gets to know about the fiasco at the temple and rushes to Anupriya’s rescue. She is stamped over and pushed away by the people, for they refuse to accept that Kalyani’s mother Anupriya is not characterless. Looks like Anupriya and Keshav’s relationship will lead to a big revelation on Tujhse Hai Raabta. Will Malhar help the Deshmukh family from Sampada and Atharva’s attacks? Will Kalyani be able to prove her Mai’s innocence? Stay tuned for ghosts of the past might have come knocking on Anupriya and Kalyani’s doorsteps. Rest assured, Kalyani won’t leave Anupriya’s side and support her through it all. What do you think will happen next? Let us know your thoughts in the comments section below. Keep watching Tujhse Hai Raabta on ZEE5 and stay up to date with all the dope about your favourite show.